In examining the work of eminent fourteenth century Iranian Shiite scholar Nizam al-Din al-Nisaburi, this book is the first rigorous attempt to explain the cross-fertilization of scientific and religious thought in Islamic civilization. Nisaburi did not consider himself a scientist alone, being commissioned by his patrons to work in a variety of fields. Islam and Science examines in detail the relationship between the metaphysics of Nisaburi’s science, and statements he made in his Qur’an commentary and in other non-scientific writings. Sources suggest that Nisaburi was inspired to begin his scientific career by the inclusion of basic science in a religious (madrasa) education. By mid-career, he had found methodological similarities between theoretical astronomy and Islamic jurisprudence. Morrison concludes that while Nisaburi believed science could give one a taste of God’s knowledge, he realised that the study of science and natural philosophy alone could not lead him to a spiritual union with God. Only Sufi practice and Sufi theory could accomplish that. 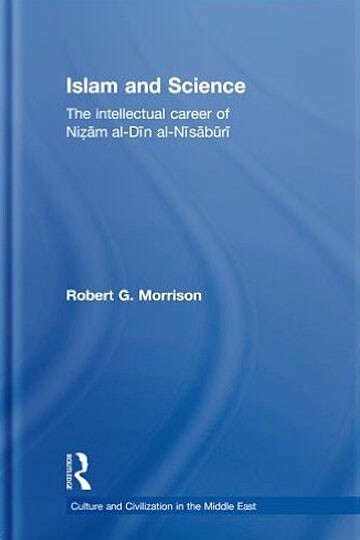 Morrison’s work is remarkable in synthesizing the history of Islamic science with other areas of Islamic studies. It will be of interest to students and scholars of religion and the history of science, as well as readers with a more general interest in Middle Eastern studies.